Left: Ed “Catfish” Banchero, age 10, working at The People’s Meat Market in Black Diamond. 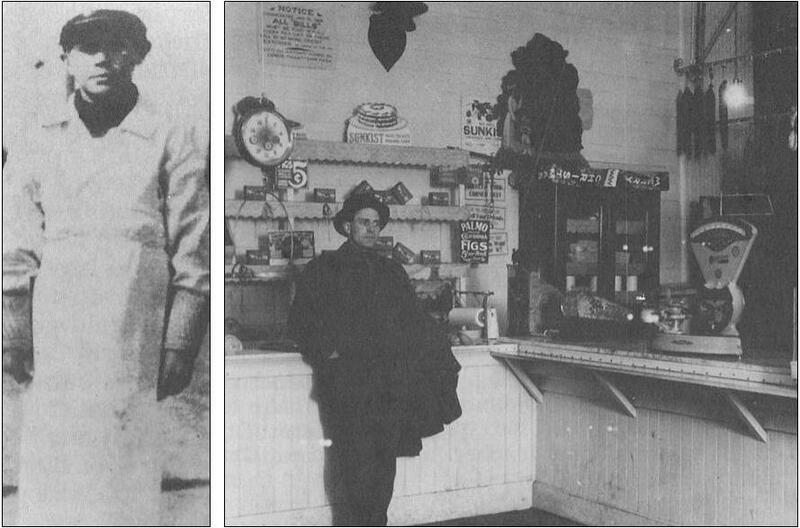 Right: Pete Frederickson in his butcher shop. Eddie Banchero’s childhood friends still call him “Catfish.” As Banchero tells the story, the nickname stems from a swimming accident in Black Diamond years ago.